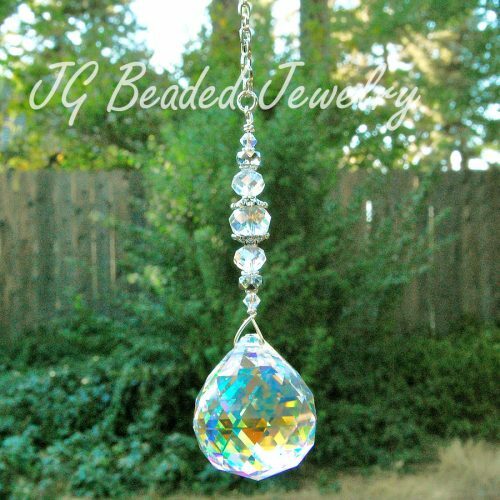 This gold suncatcher is uniquely designed to hang in a window, on the rearview mirror or simply attached to an existing ceiling light pull or fan pull chain! 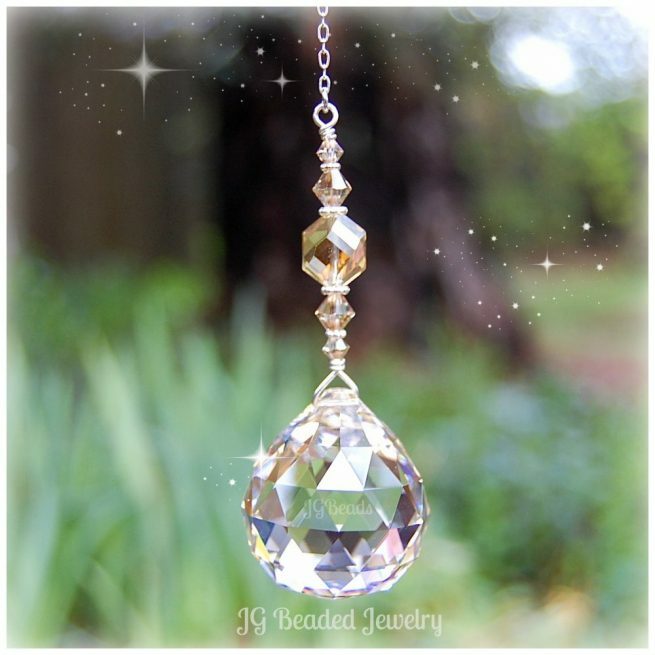 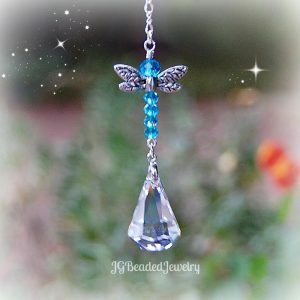 The gorgeous 30mm golden shade prism crystal is wire wrapped by hand with attention to detail and designed for strength and longevity with golden shade Swarovski crystals, a lovely golden glass bead along with fancy silver metal beads. 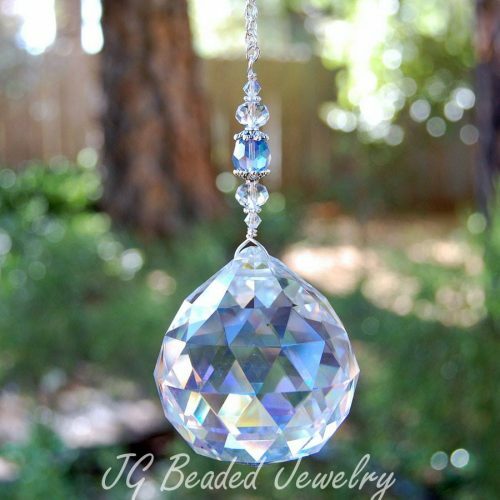 The prism will give off rainbows in direct sunlight! 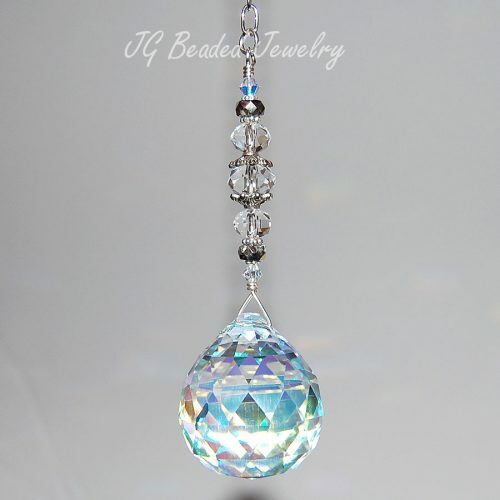 3) Ceiling Fan or Light Pull – 6″ ball chain with connector for easy attachment (alternate lengths may be available – send me a message with your request).